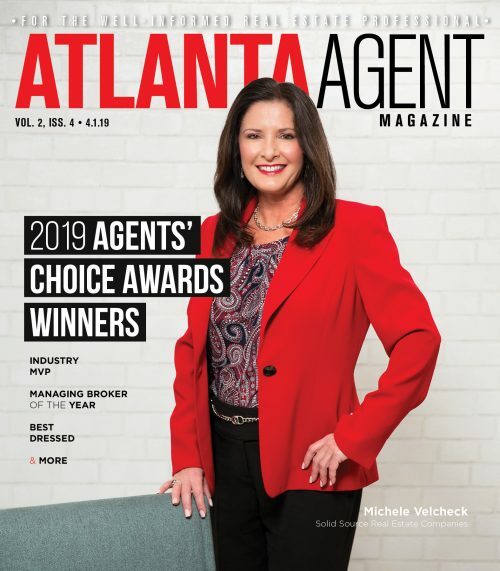 More Realtors are becoming part of a real estate team,­ as consumers are increasingly wanting experts in certain specialties throughout the course of their buying or selling process. 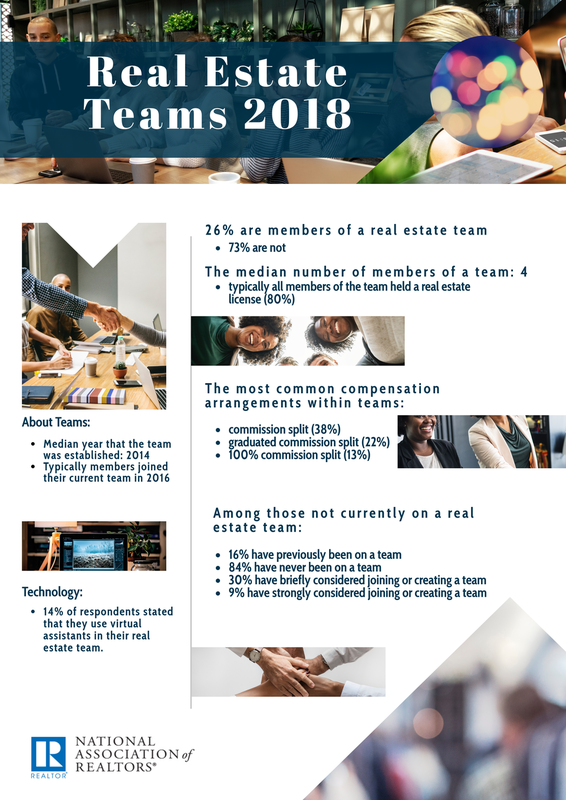 The National Association of Realtors’ 2018 Teams Survey found that 26 percent of those surveyed were members of a real estate team, and many of them have joined their current team within the last two years. 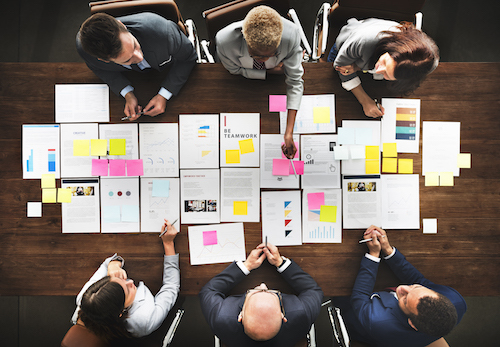 Two of the major reasons cited for the growing interest in teams is that it lets individuals grow, and that it utilizes the strengths and skills of different people to support increased sales and strengthened client relationships. 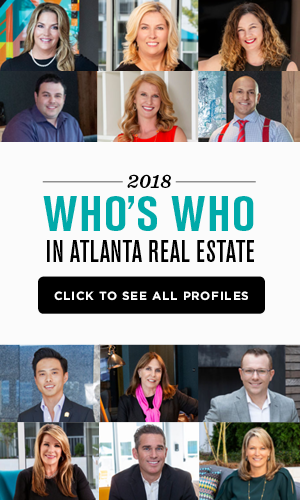 “Real estate teams are an increasingly popular business model in response to consumer demand for a wide range of specialties from their Realtor as they expect constant support throughout the real estate transaction,” said NAR CEO Bob Goldberg. John Makarewicz, president at Mark Spain Real Estate, notes that with the rise of online real estate portals like Zillow and realtor.com, it is harder for individual agents to lead generate digitally. Joining a team allows agents to be a part of a group of people who will help will lead generation and other tasks so that they can focus on other aspects of the business. Of those surveyed by NAR, 30 percent had two people on their real estate team. The median number of team members was four. ­ “This growing trend not only helps our members share workloads and responsibilities, but also allow Realtors to benefit from the experience of fellow professionals,” said NAR President Elizabeth Mendenhall. “The synergies of a well-functioning team are often an incentive to relinquish some of the independence of a solo practitioner and offer many attractive features for both licensees and their customers,” Mendenhall said. For individuals looking to join a team, Makarewicz recommends asking good questions when talking to the team lead about the parts of the business that are most important to them, such as how lead generation is handled within the company and what will be required of them, but more important if the missions and values of the agent align with that team. If someone is looking of putting a team in place with someone they know, he says that it is important to have an honest conversation about responsibilities and tasks and roles within the company, and then getting a legal agreement in place. As real estate teams grow in popularity, increases of regulations are also on the horizon. NAR reports that 24 states currently have some kind of statutes or formal regulations in place for real estate teams, but that could easily grow.